Disclaimer – I was offered free product for this post, but did not receive any $’s and as always, the opinions here are all mine! I entered a challenge this month with JSL Foods. 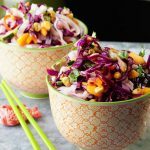 The Fortune Asian Noodle Blogger Recipe Challenge is to create a stir fry or salad dish using their noodles. I opted for the salad challenge. There are 49 other bloggers entered in this challenge so it will be exciting to see who wins! 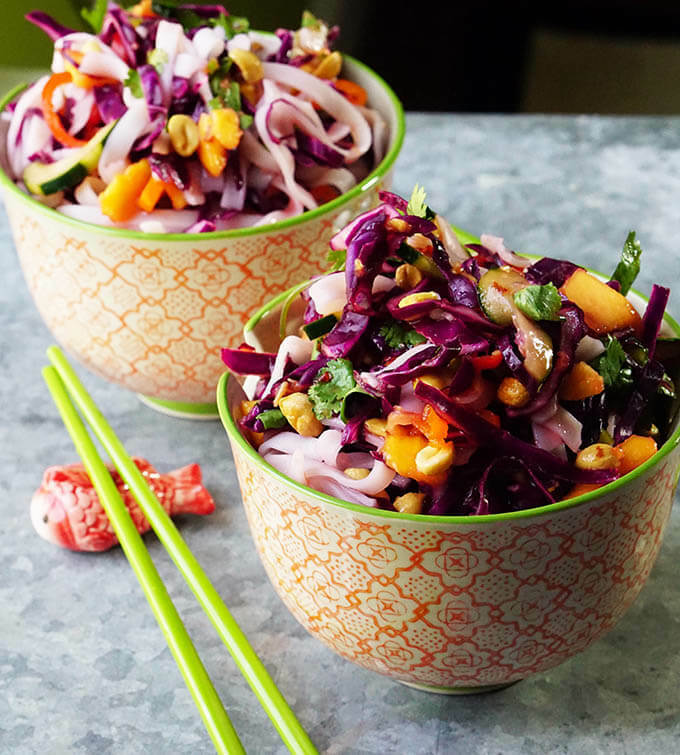 I’ve created a Spring Roll Noodle Salad. 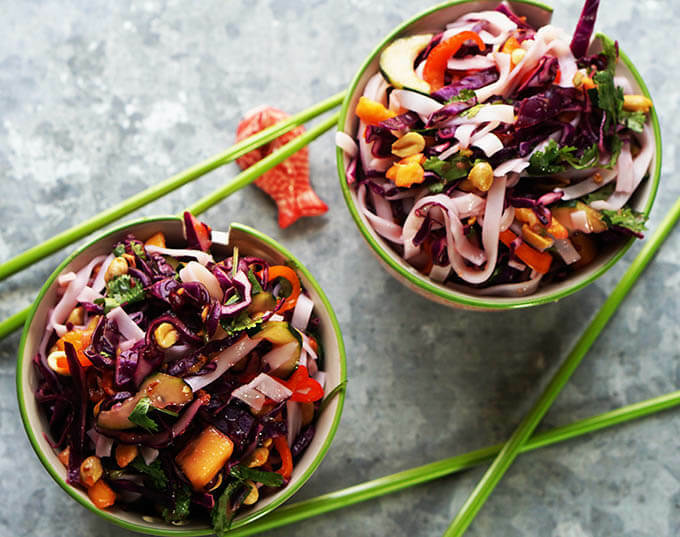 Bright, crunchy and fresh this salad offers up delicious flavor and it's just so easy! 1 papaya peeled, seeds discard. Cook the noodles according to package directions. Drain well and refrigerate. 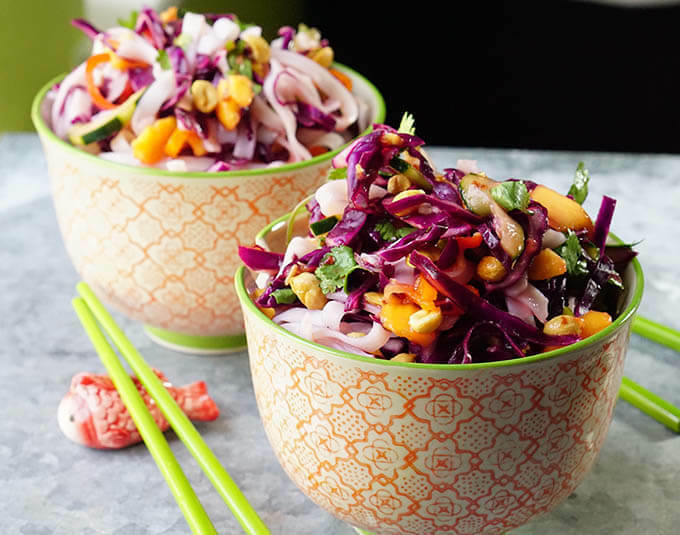 While the noodles are chilling thinly shred the cabbage and place in a large bowl. Slice the cucumber in half and scoop out the seeds with a spoon. Next thinly slice it. Slice the bell pepper too and add these ingredients to the bowl along with the cilantro. Next slice the papaya in half, scoop out the seeds and dice it into small bite sized pieces. Into the bowl it goes along with the chilled noodles. Mix the salad dressing - juice the limes into a small jar. Dice the jalepenos (removing the ribs and seeds to reduce the heat). Add the honey and water. Screw on the top of the jar and shake well. Pour the salad dressing over the salad and mix to combine. Refrigerate until ready to serve. Give it a quick mix before dishing up. Sign me up for this dish…holy flavors!!! Good luck in the contest. Thanks Michelle!! This is definitely a big flavor dish, love all that great crunch! Thanks so much Citra, I appreciate you stopping by! Yum! Yes please. I’d love that for lunch. These look amazing!!! My husband would love this. And those bowls!!! They’re so pretty! Thanks so much Emily – love a great salad! Winner here! 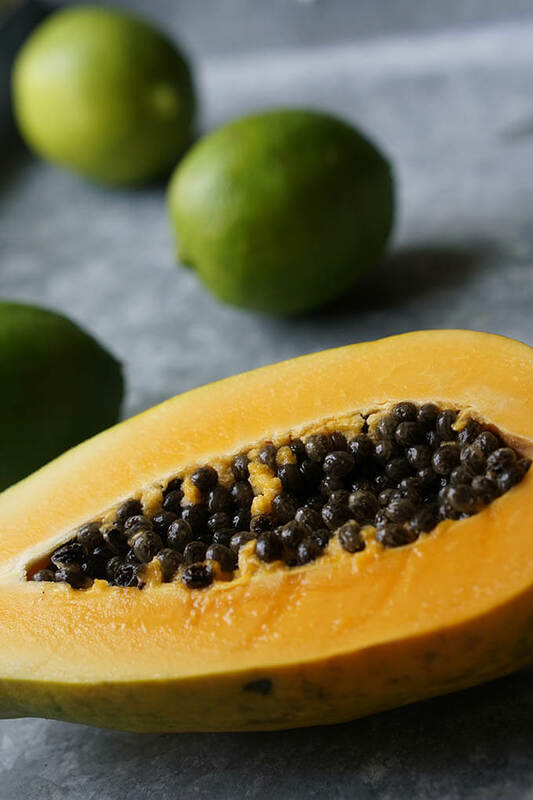 I have a produce stand close to my office and I hope they’re stocked with papaya so I can gather all my ingredients to try this! Perfect, you’ll be set! Enjoy Sandra!! I love everything about this dish (including the actual dish)! Haha! Thanks Linda – love them too – world market find! 😀 What can I say, orange is my fav color!! Wow! That looks so delicious!! Love the colors in it. These look do difficult but when I looked at the recipe, it doesn’t seem to be. Wouldn’t have thought of adding papaya. I would have to switch out the peanuts for my allergies, but can’t wait to try. Will pin. Thanks for adding to Let’s GEt Real Link up. 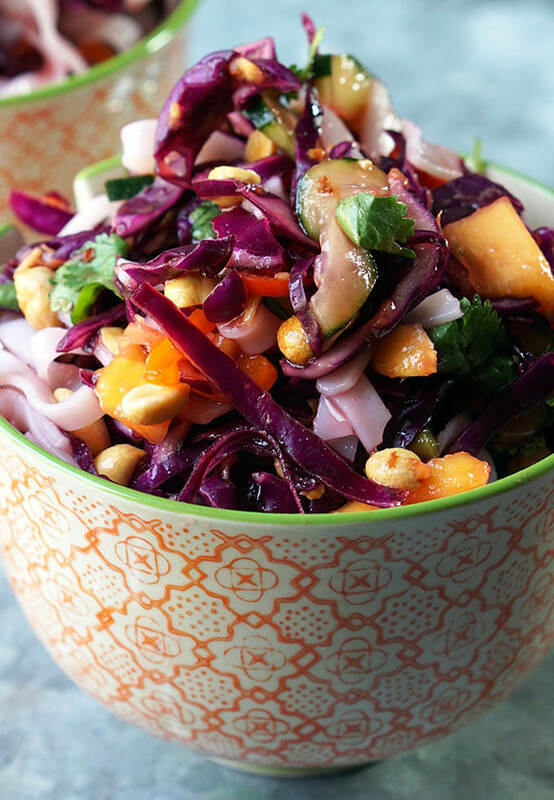 Not difficult at all Karen, just an easy slaw with some noodles – full of great crunch! I am featuring your recipe as part of my feature section in this week’s Let’s Get Real Weekly Link Party. After seeing your colorful recipe, I don’t think mine stands a chance in this contest!